The Wusthof Precision Edge 4 Stage Knife Sharpener is the best pull through sharpener I ever tried, simply due to the fact it is modern, practical and affordable. I compared it with several, different models, and I decided that this gadget is at least 2 times better than all of them. It even sharpens knives better that 3 times more expensive models, which is an interesting fact. 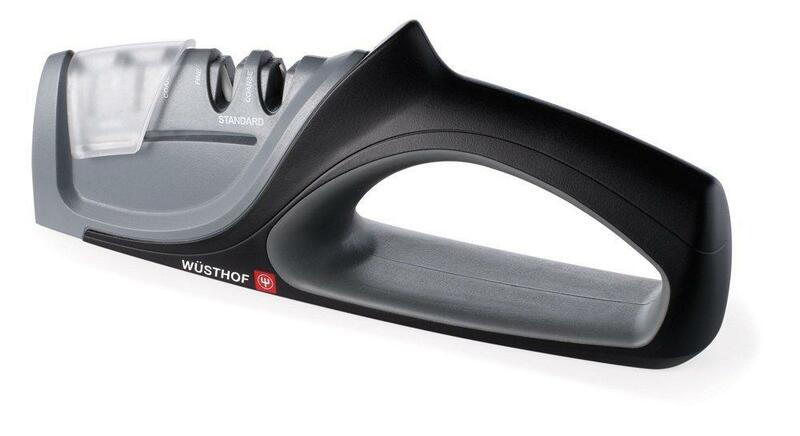 The Wusthof Precision Edge 4 Stage Knife Sharpener is one of the most popular and the most practical sharpeners on the market, due to the fact it has been developed for sharpening Asian and standard knives. Each section is divided into two stages. The first stage is rough and it is used for removing the damages and for partial sharpening. The second stage is for fine sharpening that makes any knife razor sharp. The situation is the same for both standard and Asian knives, so any model will be perfectly sharp. This addition makes the Wusthof Precision Edge 4 Stage Knife Sharpener a perfect choice for large restaurants, which have different kitchens. The last, but very important is that this sharpener uses ceramic rods, which have the same strength as diamonds, to sharpen your knives. 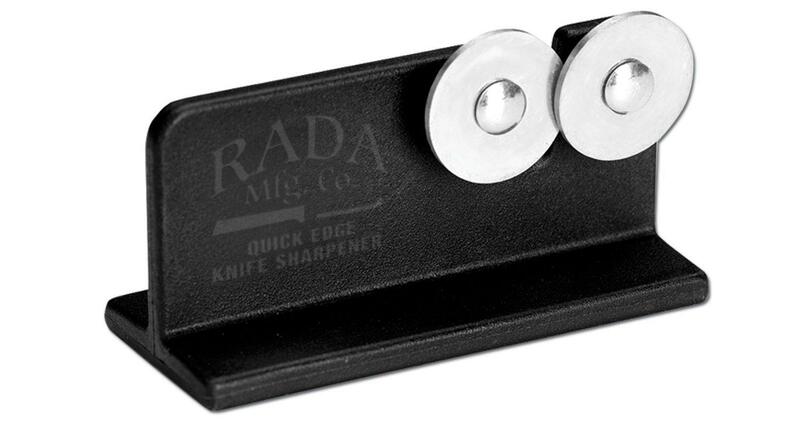 The most common issue with sharpeners is the base that isn’t very useful on a slippery surface. Due to the fact these products are used in kitchens where they can get in contact with kitchen oils and with detergent, the non-slippery base is extremely important. Luckily, the Wusthof Precision Edge 4 Stage Knife Sharpener comes with a base made from a special type of rubber, so it is completely non-slippery, no matter where and on what surface you use the sharpener. The base is also resistant to the kitchen oils and on the detergents. This means that it can be washed in a dishwasher and the sharpener won’t be damaged easily. In addition, this is another feature that makes this a professional product. The manufacturer of the Wusthof Precision Edge 4 Stage Knife Sharpener claims that they spend months developing the handle. The end result is actually very interesting. The handle in question has been developed in a different way than other products have, so this is a great advantage. The most important part is the fact that the handle offers a lot of grip, even when it is covered in kitchen oil! This makes the entire product far safer and a much better choice. 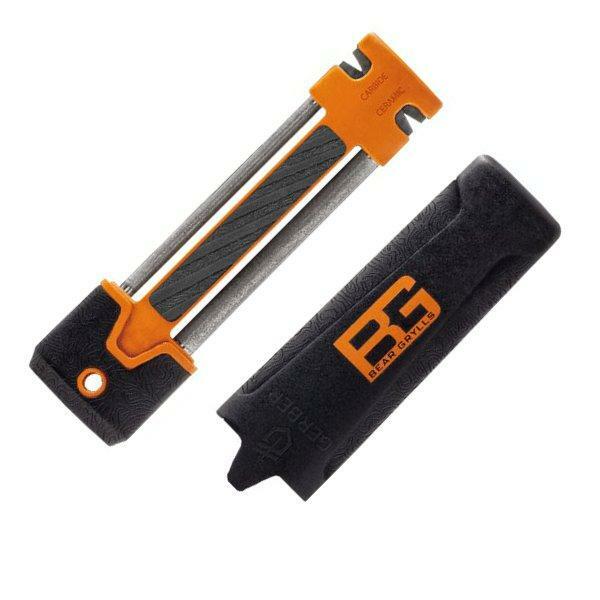 No matter where and when you use it, you will get the highest level of safety, compared to any other sharpeners. In addition, the level of grip is one of t1he best you can find on the market right now. The possibility to sharp Asian and standard knives is the best feature of the Wusthof Precision Edge 4 Stage Knife Sharpener. Thanks to this advantage this sharpener has 4.4 out of 5 star rating. The Wusthof Precision Edge 4 Stage Knife Sharpener is affordable. It is designed for professional kitchens and restaurants and it comes with features that other models simply don’t have. The bottom line, this is a great sharpener that comes ready for any application you can throw at it. The best part is the amazing quality it offers.